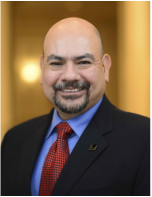 LJ: Will you share some highlights of NALEO's 32nd Annual Conference, 2015 held in Las Vegas, Nevada? AV: Certainly, the highlight was that we had three presidential candidates in attendance. We’re continuing now, in the NALEO tradition, that in the primary years and in the years of the general election, candidates come to the conference to meet with Latino leaders. The 33rd NALEO Annual Conference will be held in Washington, DC on June 23-25, 2016 and I put all the candidates on notice now; if you are the presumptive nominee of the Republican and Democratic parties, you’re invited and we expect you there. We had the presumptive nominees in 2008, then Senator Obama and Senator McCain. Then we had the nominees again in 2012; President Obama and Governor Romney, and in June 2016, I expect to host the presumptive nominees for a third time. LJ: Do you see that the country gives greater value to the Latino vote now as a consequence and impact of the work that NALEO does, in addition the growth of the population? Do you personally sense any difference now that you’ve been with the organization 21 years? AV: I’ve been with the organization almost 21 years and I know there’s been a difference because I keep raising the bar about when I think my work is done. I used to say, 'well, when we get a Latino in the US Senate, my work will be done.' In recent history, we’ve had six. Then I think, when we have a Latino in the Supreme Court, my work will be done, and now we have Justice Sotomayor. The bar continues to raise; now I said okay, when I get a Latino/a in the Whitehouse, maybe then the work will be done. LJ: We determined that the Latino elected-official representation is about half of the proportionality of the population nationally. What do you think the cause of that is? AV: There are a lot of reason for that being the case. I think the most significant reason is that many of these Latino elected officials, represent predominantly dominate Latino districts or communities and at some point, we will reach saturation. Most Latinos in congress represent Latino-majority districts. There is only a handful of Latino-majority (congressional) districts that still are not represented by Latinos; districts like Charlie Wrangles in NY, Gene Greens in Houston, or David Valadao is in the Central Valley. Those will come with time. What it’s going to take to get the increase of Latino elected officials to match is going to be more crossover candidates, as in Latino candidates running in non-Latino majority districts. Even, for example, in California; if all the Latino-majority congressional districts are represented by Latinos, we still wouldn’t have enough members of congress to be proportional to our population in California. We’re going need people to run and win in districts where Latinos are only 20 or 30 percent of the population. We are wasting a lot of Latinos in some ways focusing only on majority districts, we need to spread them around and get good candidates to run in non-Latino majority areas. That’s what it’s going to take. LJ: What is your observation in comparing the Democratic versus Republican parties in pushing for Latino elected officials? AV: First of all, I don’t think the democrats are doing enough to elect Latino democrats. I think it’s part of the problem that the democratic party isn’t really getting behind Latino candidates when it needs to, and I can give you lots of examples around the country. To their credit, the republicans actually are stepping up in California; Ruben Barrales is running an effort to identify, recruit and run republican Latino candidates. I don’t see the Democratic party doing that. LJ: Which private-sector industries have been involved in NALEO? AV: There are some companies that have definitely stepped up to the plate and have been very helpful, like State Farm, PG&E, Wells Fargo and a couple of foundations as well, like the Gates Foundation and others, but, still not enough. What the tension is oftentimes that companies would be willing to fund us if the training we provide is focused on their business issues. We can get oil companies if it’s going to be about oil, which is great because it’s a relevant issue, but I also need to be able to have resources to train our elected officials on how to read a budget, how to run a meeting, and how to develop alliances so they can get the votes needed to pass initiatives, and that has nothing to do with oil or prescriptions or broadband and such. It’s those basic governance skills that our folks need to be successful and we just don’t have enough individuals or companies willing to fund that. LJ: Is there a particular industry within the private sector who you would like to see involved? AV: I don’t know if it’s so much about the different sectors, I just think there’s not enough of the companies within the sectors that we do work with; like the banks. We have a great relationship with JP Morgan Chase and Wells Fargo, less so with Bank of America, we’d like to see them more involved. We’re not involved at all with Citybank and some of the other financial services companies and with the automotive industry. Toyota has stepped up to the plate, but I would also like to see Honda and Hunday, GM and Ford return. Ford used to be a big supporter of us and they’re not here anymore. And I could just go down the list of all these companies. I think sometimes these companies have the impression that if they give to one organization, they can check Latinos off the list. I think it’s one of the problems that we’re dealing with. LJ: How about Silicon Valley and its tech companies? AV: We do a little bit of work with them Microsoft was here, Google is a supporter. Most are not contributors. LJ: Are there efforts to include them? LJ: Do you think there will be a Mexican-American in the U.S. Senate in the near future? AV: We haven’t had a Mexican-American US Senator since Ken Salazar from Colorado. Yes, we now have a bench of people to run, like in Nevada, the former attorney general, secretary of state of California, Loretta Sánchez has thrown her hat in, Javier Becerra may join. It’s a matter of time and, again, this is an example where the party needs to step up to support their candidates. Note: This interview was conducted in 2015 at the NALEO convention in Las Vegas. maybe then my work will be done." Rep. Luis Gutierrez (D-Ill.) said Thursday that Republicans are "hurting" their long-term electoral prospects by opposing President Obama's executive actions to shield certain illegal immigrants from deportation. Gutierrez argued that the children of illegal immigrants won't warm to the GOP, noting that more than 90 percent of Latinos under 18 living in the U.S. are citizens. "They will not have a warm and fuzzy feeling about the party that fought tooth and nail to throw out their moms and dads," Gutierrez said in a House floor speech. "This is what my colleagues fail to appreciate when they stand alongside hardliners and opponents of legal immigration: In their zeal to deport non-citizens, Republicans are hurting themselves with citizens," Gutierrez said. Gutierrez, a vocal proponent of immigration reform, suggested that some Republicans believe there is a "caste system" in the U.S. where immigrants don't mix with people who were born in the country. 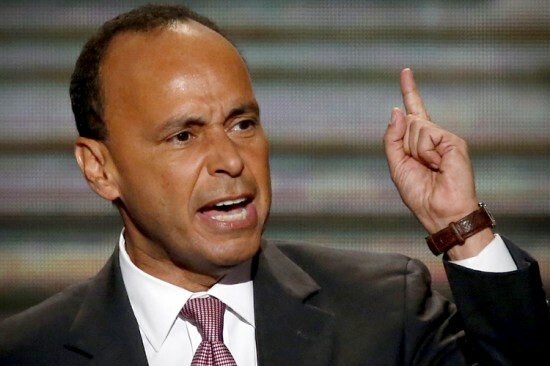 "In my district in Chicago, just like the rest of the country, there is no caste system where people who were born in the U.S. never mix up with people who weren't born here," Gutierrez said. "When we celebrate the Fourth of July or Thanksgiving, believe it or not, we all sit at the same table." Funding for the Department of Homeland Security (DHS) will expire Friday at midnight unless Congress can pass a bill in time. But a path forward is unclear in the House, where many hard-line conservatives refuse to support a "clean" DHS bill that doesn't prohibit funding for President Obama's executive actions. The original House bill that revoked the executive actions was unable to secure the necessary 60 votes in the Senate to advance. "The Republican Party’s goal of forcing this president to deport all the non-citizens they want deported will simply never be achieved until the Republican Party elects one of their own to the White House," Gutierrez said. "And the strategy of the Republican Party - forcing this president to deport all the non-citizens they want deported - pretty much guarantees that one of their own isn't going to get to the White House any time soon."